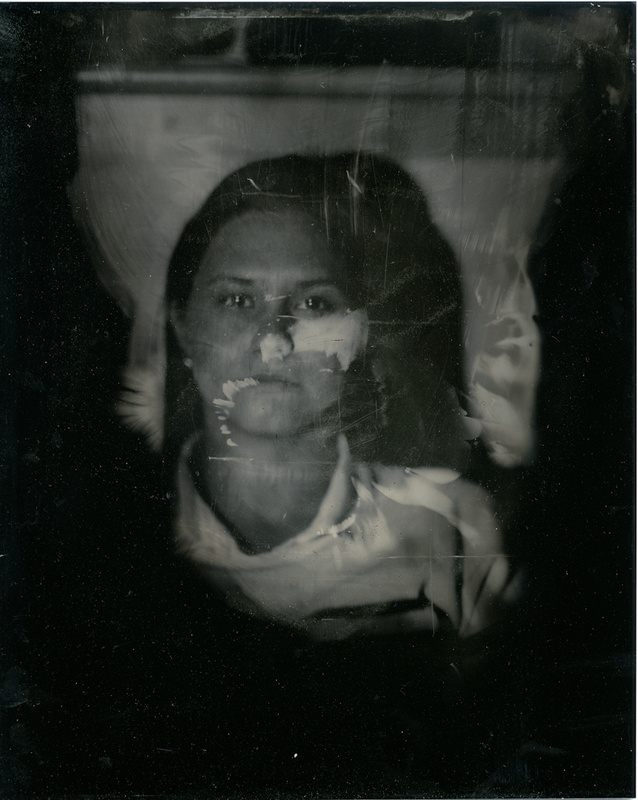 If the photograph steals your soul, wet plate collodion steals whatever is left. The process responds differently to light. It sees below the surface of your skin. It lifts the veil of mystery of the sitter. The process itself conventionally renders the subject in a seductive fashion. Ignoring this part of the process; I’ve focused on chance and mystery to help guide me. By altering my working process, I’ve begun to break the “rules.” These abstract portraits begin to re-steep the process in mystery. 9 5x8" x 7 11/16"